A test engineer is unpluging the starting ATAR 9K-50 jet-engine of Mirage F.1 second prototype which had been flown for the first time on March 20, 1969 and officially considered as the first production aircraft... 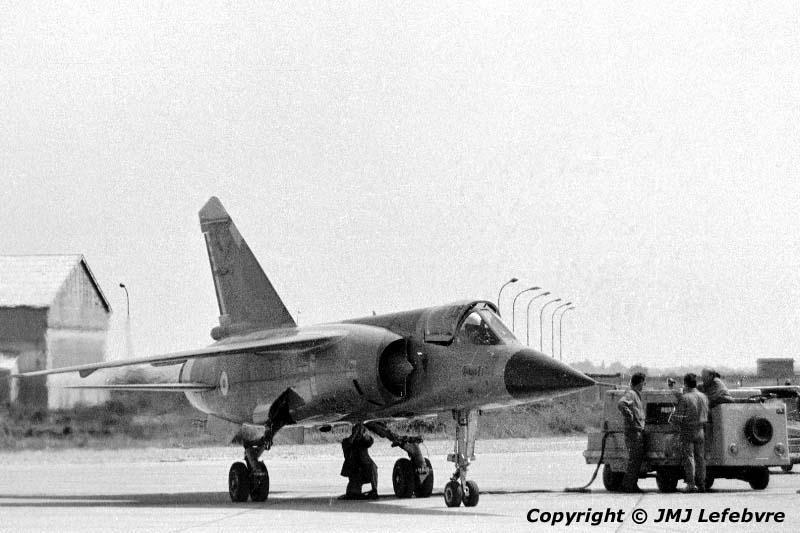 I remember that F.1 01 had been first flown on December 23, 1966 and destroyed in an acident on May 19, 1967 where René Bigand, the Dassault Test Chief Pilot having flown for the first time Mirage IV, Mirage Fs and G, lost his life. Reason of the crash occuring during the 24th flight and with a total of 21 flight hours completed was an uncontrolable stabilizer flutter at very low altitude and high speed.